Mission: To improve individual, organization and community outcomes where everyone matters. Kathy Telban was selected and trained as a mediator for Tarrant County when she lived in Texas in the late 80s. She specialized in civil cases where she had a 80% settlement ratio. For the past 20 years, she has been a volunteer arbitrator for the Cleveland Metropolitan Bar Association for attorney fee disputes. She is an active member of the Mediation Association of Northeast Ohio. She uses an understanding-based collaborative mediation process, during which everyone listens to each other to fully understand the issues. She creates and maintains a safe environment where respectful constructive dialogue is used to determine workable solutions. Both structure and support are provided so that parties can make informed decisions together. Kathy guides and empowers the parties to take charge of their own outcome and find a positive path forward. This understanding-based model helps people work together in ways that honor the past, the parties, their perspectives and their relationships. 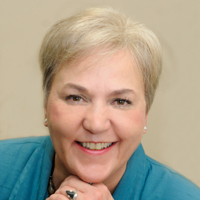 Kathy Telban is an outcome strategist and coach and is the founder of iSOLVit, LLC, an organizational effectiveness consulting and services firm. She uses an inspired, collaborative approach and strategic inquiry to help individuals, organizations and communities think in new ways and plan their way to new futures. She is a multi-dimensional professional with 20+ years of experience in several industries. Her expertise includes information technology, training, sales, human resource, performance improvement and outcomes-based education. 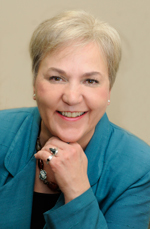 Kathy has worked with business, educational institutions, civic and nonprofit organizations. She is a certified performance technologist (CPT), a certified senior human resource professional (SPHR) and has a Masters in Adult Learning and Development from Cleveland State University. As an avid sailor and horseback rider, both sports have taught Kathy much about leadership, teamwork, change and trust. Her extensive U.S. and foreign travels have contributed much to her knowledge and perception.